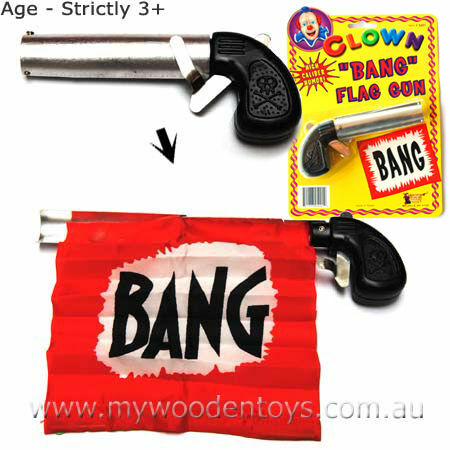 Joke Clown Bang Flag Gun is a classic. You pull the trigger and a spring loaded flag pops out just like in the cartoons. This practical joke is great fun and really is a blast (forgive the pun) from the past. Age: Strictly 3 + Sharp & Small Parts. We like this because: "A wonderful classic. "